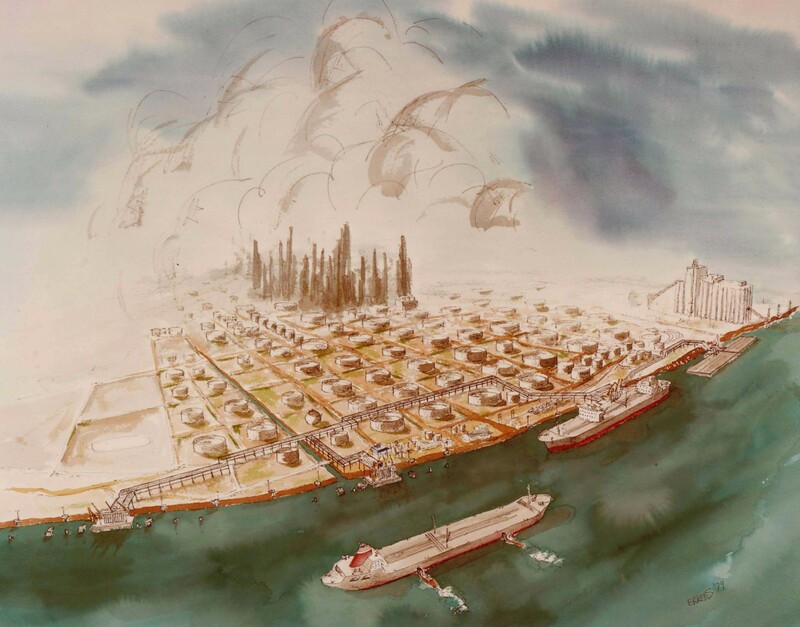 This illustration was created to highlight a proposed raised pipeline support bridge connecting the existing wharfs of this marine terminal on the Houston Channel. The water in the channel is not—and probably never was—blue. I chose to give it an oily, bayou feel. I gave the sky a muggy, Houston summer afternoon feel, hovering over an earthscape, morphing into the disappearing fog of humidity.